The forest landscape of the eastern United States drastically changed in the first one-half of the 20th century. 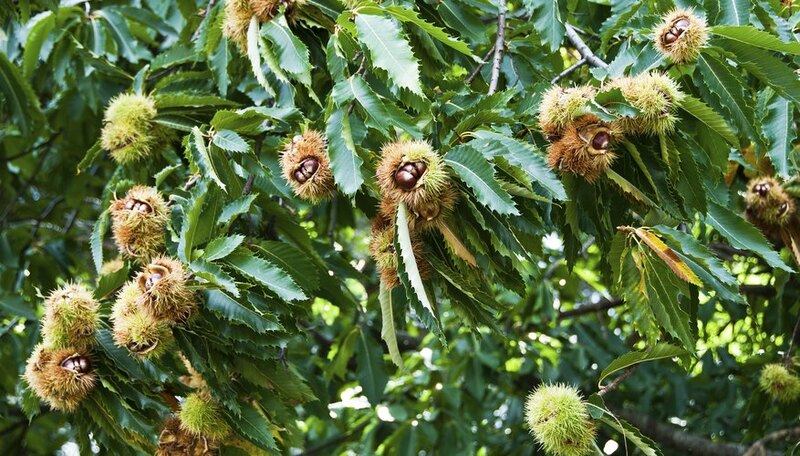 The American chestnut tree (Castanea dentata), which is hardy in U.S. Department of Agriculture plant hardiness zones 5 through 8, almost disappeared when it was attacked by an introduced fungus. Efforts to revive the species are underway, but two other species often are used in its place. 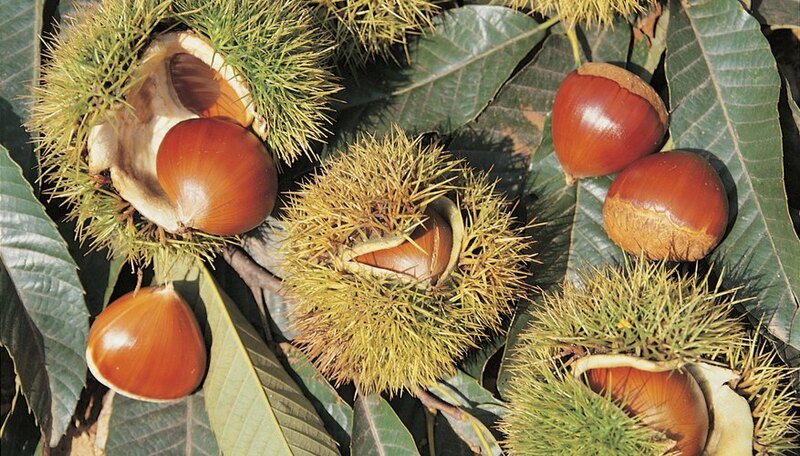 They are Japanese chestnut (Castanea crenata) and Chinese chestnut (Castanea mollissima), which are hardy in USDA zones 4 through 8. Wormlike larvae attack different parts of all three Chestnut species and require different treatments. Gypsy and tussock moth caterpillars, along with cankerworms and fall webworms, feed on chestnut foliage. In large numbers, the caterpillars can completely defoliate a tree. Bacillus thuringiensis var. kurstaki is a soil bacterium that is harmless to plants and other animals but creates holes in the digestive system of caterpillars. When they ingest leaves treated with Btk, they stop eating and die. Mix 4 teaspoons of Btk concentrate with 1 gallon of water in a garden sprayer. Spray both surfaces of the chestnut trees' foliage thoroughly when caterpillars are young and feed actively. Applying the product on an overcast day or in late afternoon is necessary because the bacteria are susceptible to sunlight. 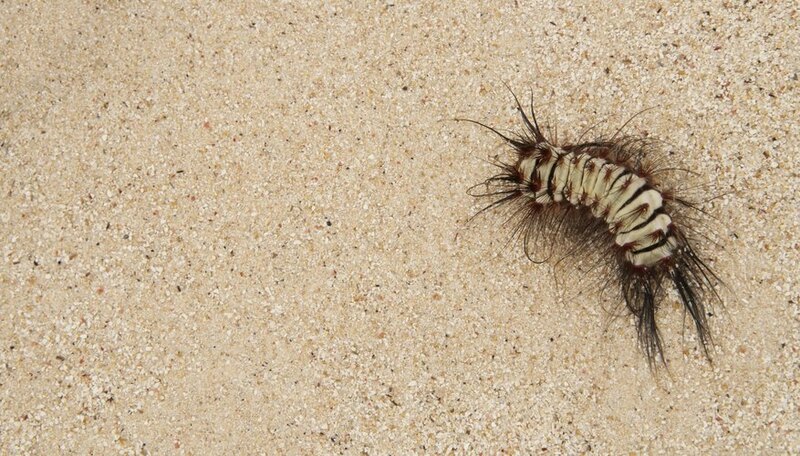 Repeat the application one week later for tussock moth caterpillars, cankerworms and fall webworms that reappear but about 14 days later if gypsy moth caterpillars reappear. Wear protective eye-wear and clothing that covers your skin and head when you prepare and use the product, and avoid inhaling its mist. A few kinds of larvae tunnel in chestnuts. Larvae of clearwing chestnut moths tunnel in and under bark and are capable of causing serious injury to chestnuts. No known treatments exist against the pests. Grubs of the two-lined chestnut borer beetle excavate woven galleries under bark. Keep chestnut trees healthy with fertilizer and water because these pests target weakened or injured trees. Twig pruner beetle larvae live inside of and cut off chestnut twigs. They overwinter in twigs that fall to the ground. Clean up and burn or dispose of fallen branches immediately to eliminate twig pruners. 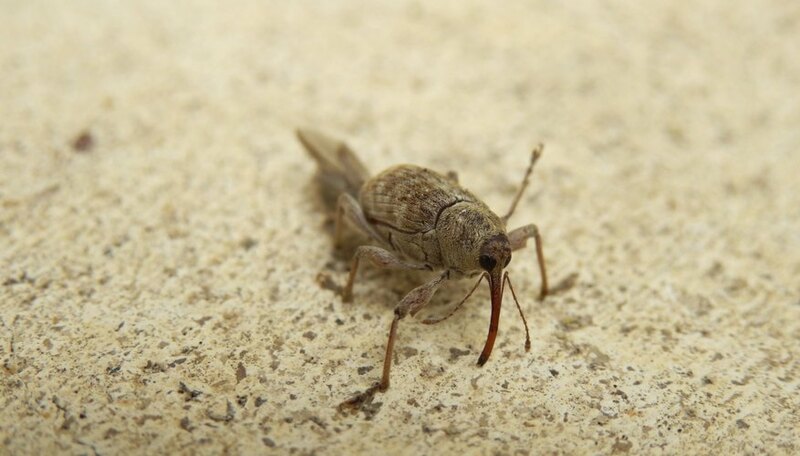 Among the creatures that bore into chestnut nuts are chestnut weevils. They lay eggs inside the nuts, where the larvae develop. When the nuts fall to the ground, the larvae bore their way out and crawl into the soil. They emerge as adults in one to two years and re-infest the trees. Gather fallen nuts daily to prevent chestnut weevil larvae from entering the soil. Heat the nuts to 140 degrees Fahrenheit for 30 minutes, which kills the larva. Filbertworms, filbert weevils and acorn moths also bore into the nuts, which they eat. Healthy chestnut trees can withstand damage from those three pests. Dispose of damaged nuts, however, because they still may contain the pests. The chestnut gall wasp was introduced to the United States from Asia in the 1970s and continues to spread across eastern states. Adult wasps lay eggs in chestnut buds. 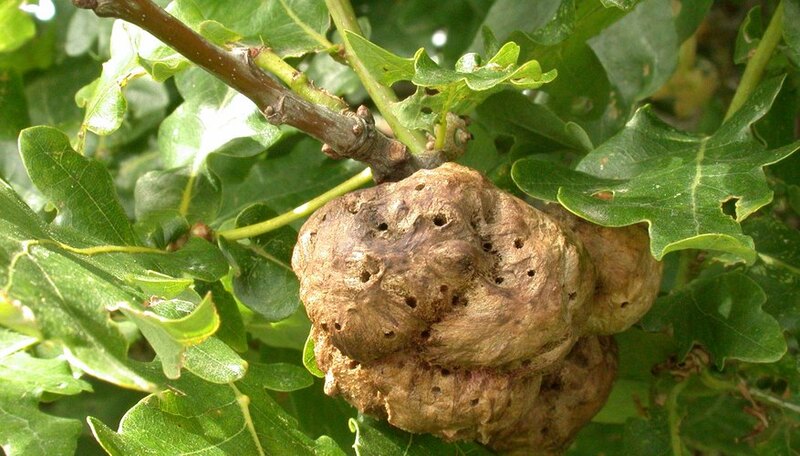 Larvae develop inside, forming swollen galls on stems and leaves. Because gall tissue is difficult to penetrate, no effective chemical treatments are available. An introduced wasp species that preys on gall wasps tends to keep their populations in check. What Are the Treatments for Pecan Trees?